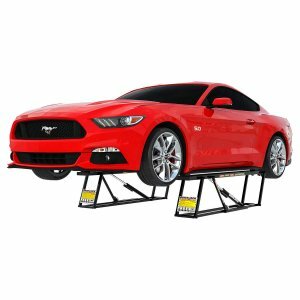 Costco offers the QuickJack 5,000-LB Capacity Portable Car Lift for $999.99. Features: 5,000-lb. Capacity - Per Pair. Remote Pendant Controlled. Dual Locking Positions: Mid-Rise and Full-Rise. Hydraulic Flow Divider for Precise, Equalized Lifting. Strong, 14-gauge Welded Steel Frames.